In the afternoon departure to Mount Etna. 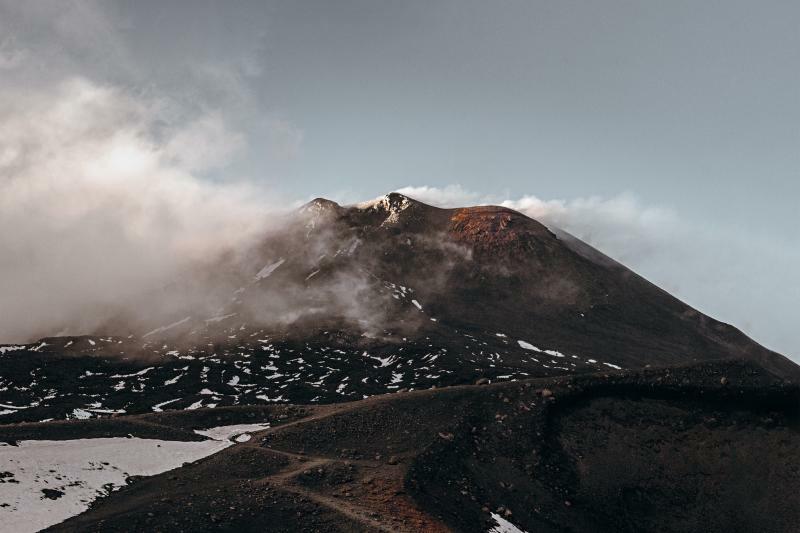 The northern side of Etna offers an uncommon, spectacular landscape. In the same moment, you can experience the black volcano, with its snowy peak during spring and autumn, and the beautiful Sicilian sea which is peacefully lying under your eyes. Reaching 1.800 meters with our bus, we will change to the Jeeps for an unforgettable trip to the top with our alpine guides. Here you will assist one of the most breathtaking sunsets of the world. Return to 1.800 meters for dinner (drinks not included) Expected arrival in Giardini Naxos around 11:00 pm.